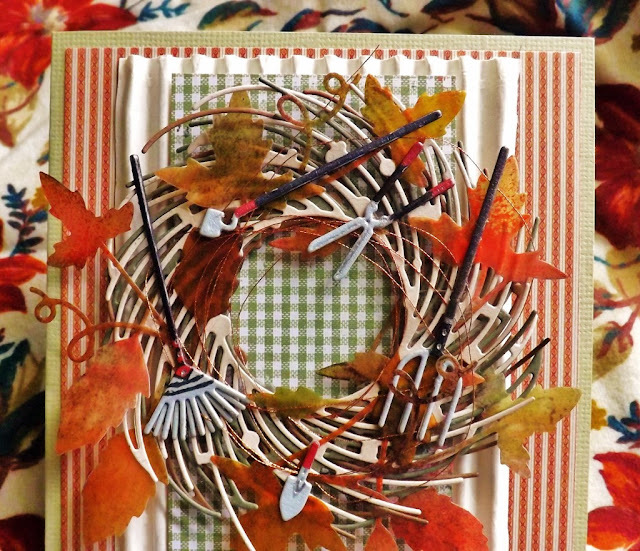 I have this fun fall wreath card to show. 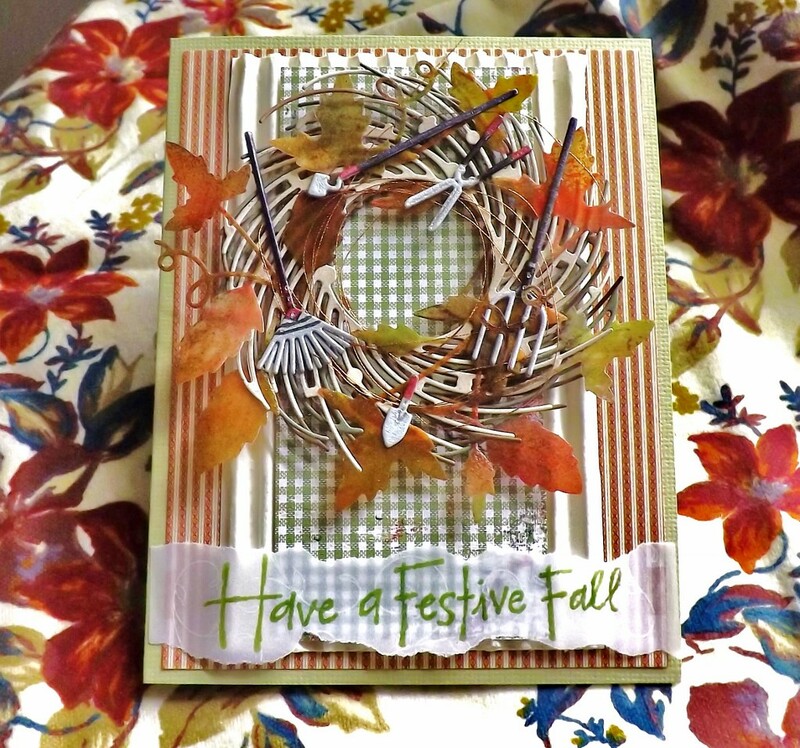 The Whirl Wreath Die is from Penny Black #51-151. 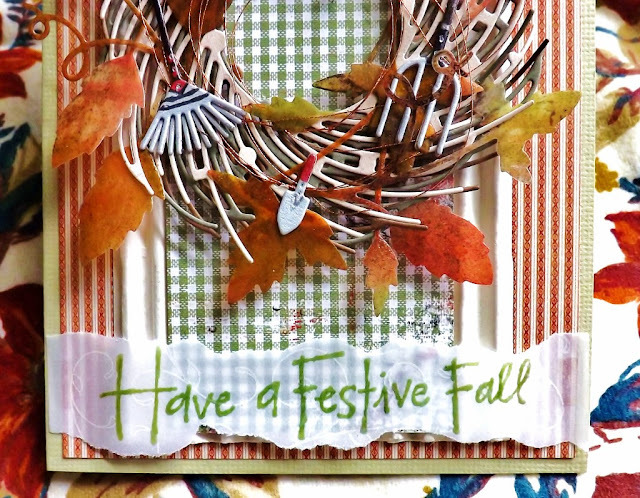 The Festive Fall Stamp from Impression Obsessions #C7344. Enjoy the card, Apple Crisp is done now, needs alittle vanilla ice cream and caramel topping. 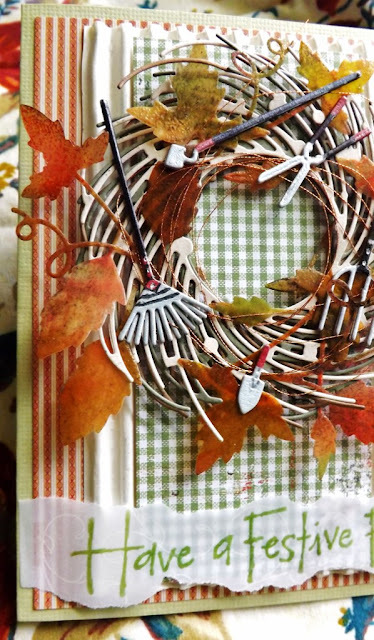 Love how you decorated the wreath and the sentiment done on the vellum!! What a wonderful wreath for Fall, Vada! I love all the little yard tools and goodies all scattered about. Big hugs, GF!